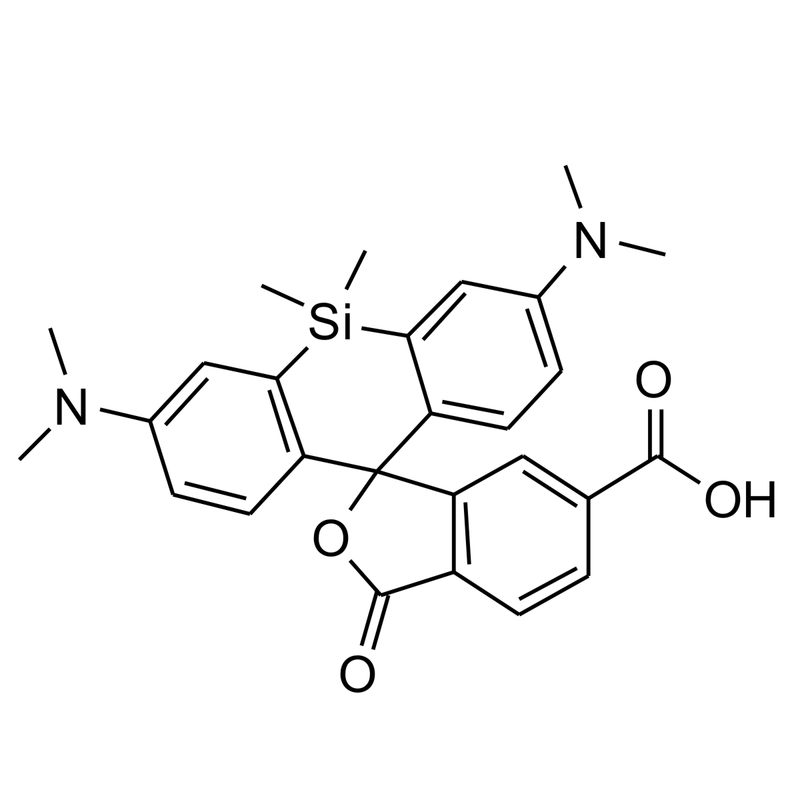 SiR-COOH ester is the carboxylic acid form of SiR. 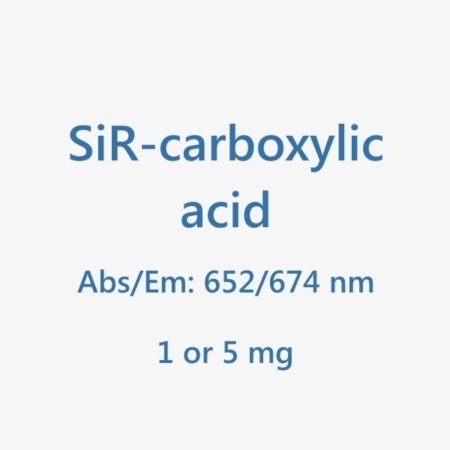 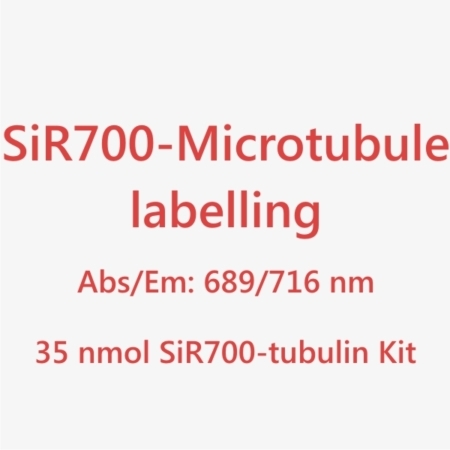 The free carboxylic acid can be activated with various coupling agents to allow the preparation of custom SiR probes. 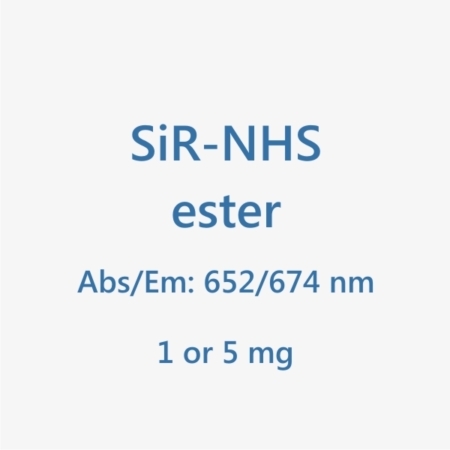 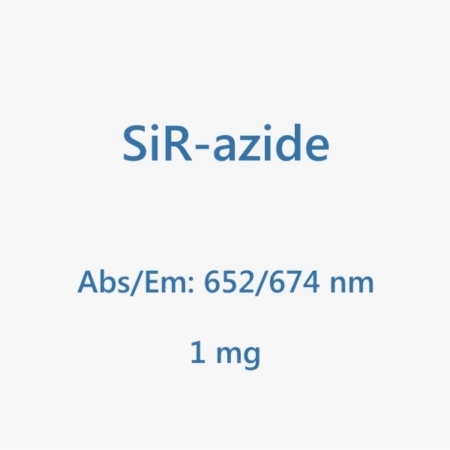 SiR-COOH can be coupled to a large variety of ligands such as antibodies, drugs, proteins or nucleic acids. 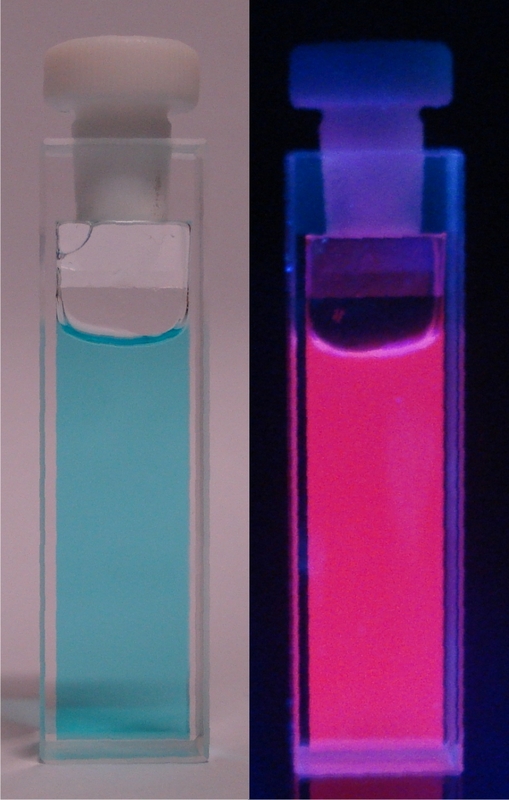 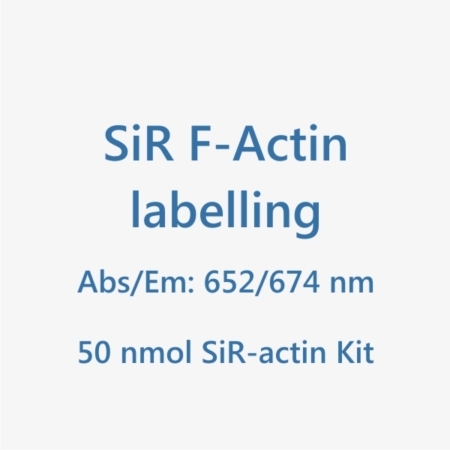 SiR is compatible with GFP and/or m-cherry fluorescent proteins. 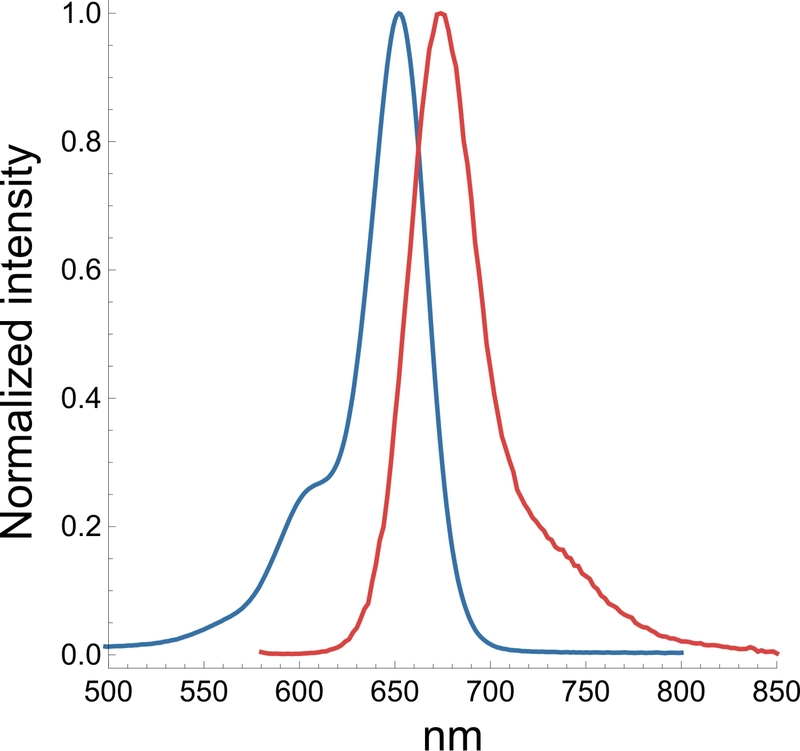 It can be imaged with standard Cy5 filtersets.